Manchester United Football Club have several players who’s contract is winding down at the end of this season, with several seemingly refusing to commit their long-term futures here while Jose Mourinho was in charge. 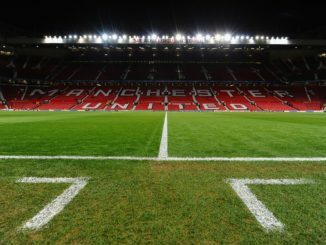 With a change in manager, the overall outlook at Old Trafford looks a whole lot brighter, perhaps that’ll convince some players to change their mind and remain a Red Devil. One such footballer who’s likely sweating about getting a new deal is Ander Herrera. He was asked about the situation in the aftermath of United’s FA Cup victory over Arsenal, but the Basque midfielder is remaining extremely calm about the situation. “I’m not going to talk about my contract. We have more important things happening now than my contract so I just try to perform.“ Herrera told the media, including Goal.com. How can you not love this lad? He just enjoys playing football. He knows a deal will be offered to him at some point, and even if United don’t put one on the table, he’ll get huge money from somewhere. At the end of the day, the last few weeks have shown just how vital this man is to what Ole Gunnar Solskjaer is trying to achieve. I’d be extremely shocked if Herrera doesn’t sign a new deal in the not too distant future, and I think that’s the outcome that everyone involved wants.